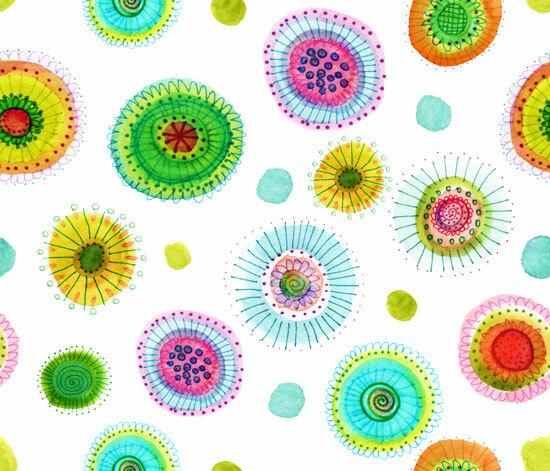 Lucie Duclos is a fun surface pattern designer and artist who uses vibrant colour palettes to express her quirky style. "I would describe my work as fresh, bright, cheerful and contemporary." 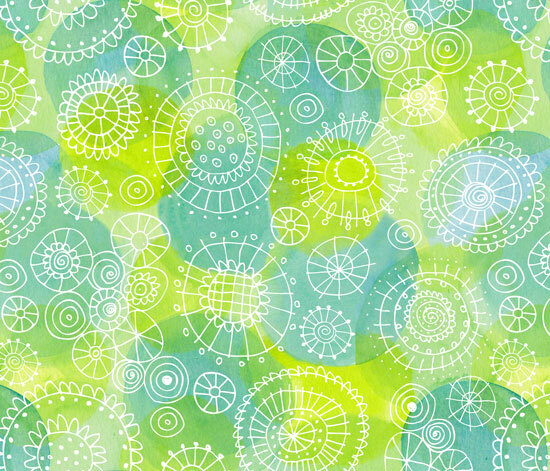 I find Lucie's work very refreshing and her 'Sea Garden' collection is full of zesty greens, tangerine oranges and pale aquas. 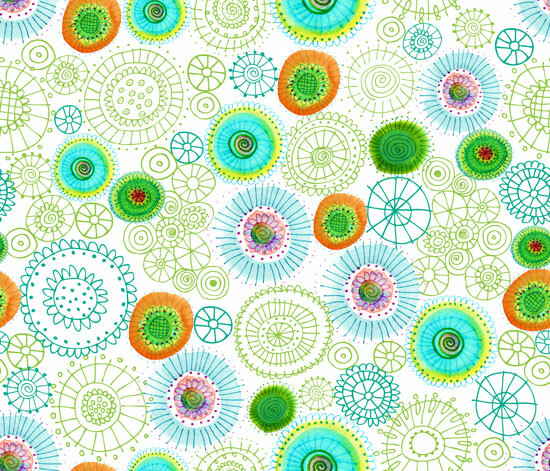 I particularly love the hand drawn and painted effects in Lucie's designs, they remind me of little sea urchins and anenomies. "It's really important to keep having fun because people can feel it when they look at your work. If I make somebody smile, then I know I am going in the right direction!" 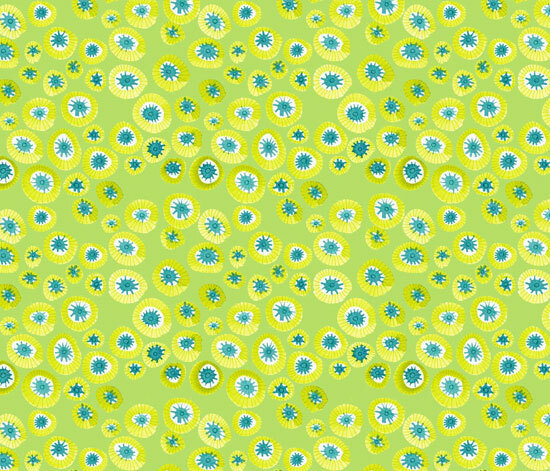 Lucie studied for a Ba (Hons) in Graphic Design at the University of Quebec in Montreal and ever since has had a love for surface pattern. 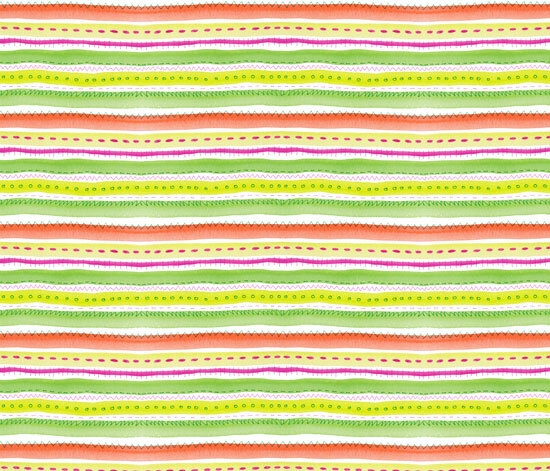 Lucie was a student who embarked on the groundbreaking e-course 'The Art & Business of Surface Pattern Design'. The inspirational course is co founded by the very talented surface pattern designer (and close friend of mine) Rachael Taylor entrepreneur Beth Nicholls. All the above designs are looking so cool and beautiful. The images are designed brilliantly. I just love them. Great work i must say. Thanks for sharing. 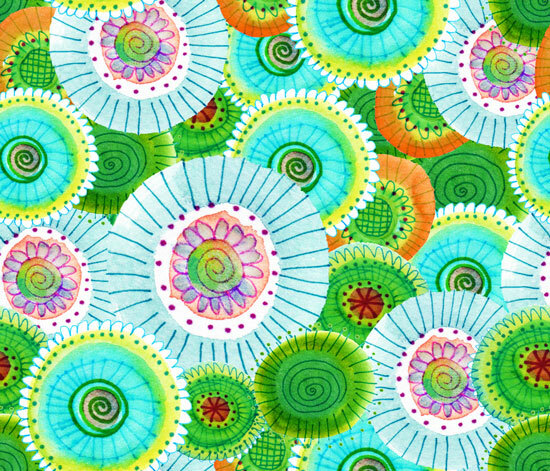 Lucie's work is always full of colour and has a fresh quality that is so appealing. I am lucky to have Lucie in my art circle! 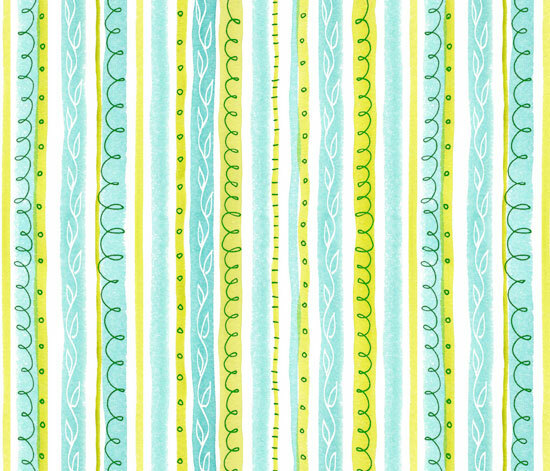 Lucie has such colorful and joyful designs....beautiful! Just love her collection.